Here we go! A new EP from Obedient Wives Club finally!! After two well-received EP, it had taken the quintet viz. YinQi Lee (vocals), Keith Tan (guitar), Cherie Ko (guitars, vocals), Sulaiman Supian (bass) and Lennat Mak (drums), four (!) long years to bless us with new music. The musical agenda has not changed too much. It’s still very much the perfect marriage of 60s girl group and 80s indie pop but this time the fuzz and reverb are turned down a notch and other instruments (strings and horns) are introduced for a finer textured sound. Recorded by Patrick Chng and mixed by Brad Wood, Cinematica is a sonic treat, embellishing some nuanced songwriting. As the name suggests, cinema is a common thread that runs through many of the tracks here. Melancholic and wistful, songs like “Moonlight Rendezvous” and “Factory Girl” tug at the heartstrings while “Baby Bye Bye” and “All That Remains” should appeal to those who need a bit of a head bopping dance. Another excellent addition to the canon of S-ROCK. Essential. 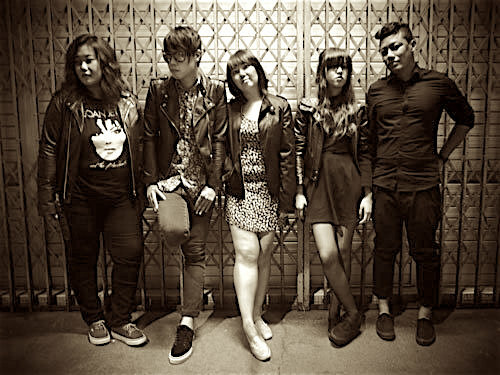 Don’t miss Obedient Wives Club live at Baybeats on Saturday 15th July at the Esplanade Outdoor Theatre from 10.10pm.